Poh Seng Kitchen & Bath Appliances - Poh Seng Kitchen & Bath Appliances is a company that supplies kitchen & bathroom appliances. Our company is located in Seremban, Negeri Sembilan (NS), Malaysia. 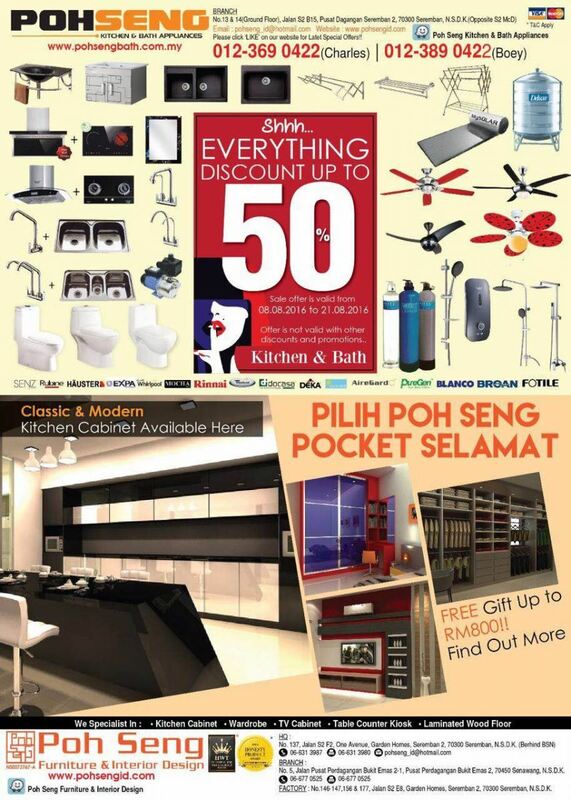 Poh Seng Kitchen & Bath Appliances is a company that supplies kitchen & bath appliances. Our company is located in Seremban, Negeri Sembilan. Our mission is helps customer to generate the idea for decorate their kitchen and bathroom. 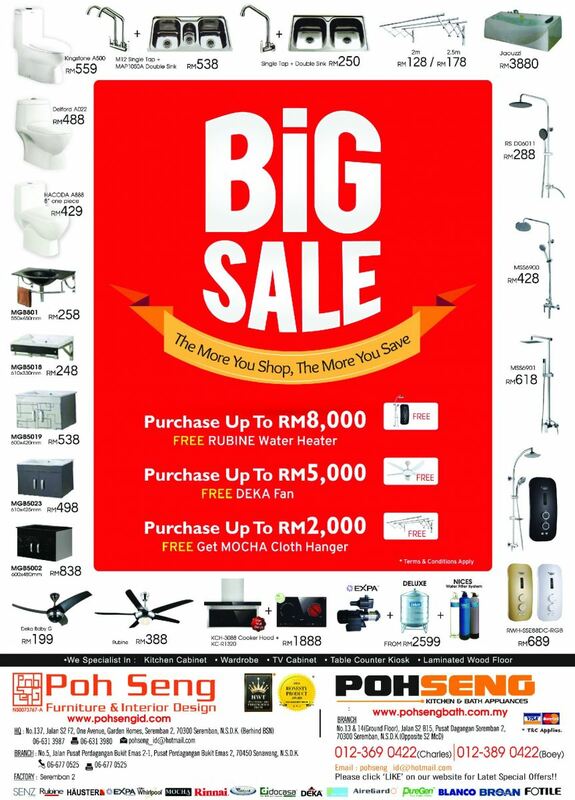 Poh Seng Kitchen & Bath Appliances supplies the largest quantity of kitchen & bath appliances brands such as AireGard, DEKA, Docasa, EXPA, Haustern, KingKong, KleenGard, Maju Tank, MOCHA, Mysolar, SENZ, Whirlpool, etc. 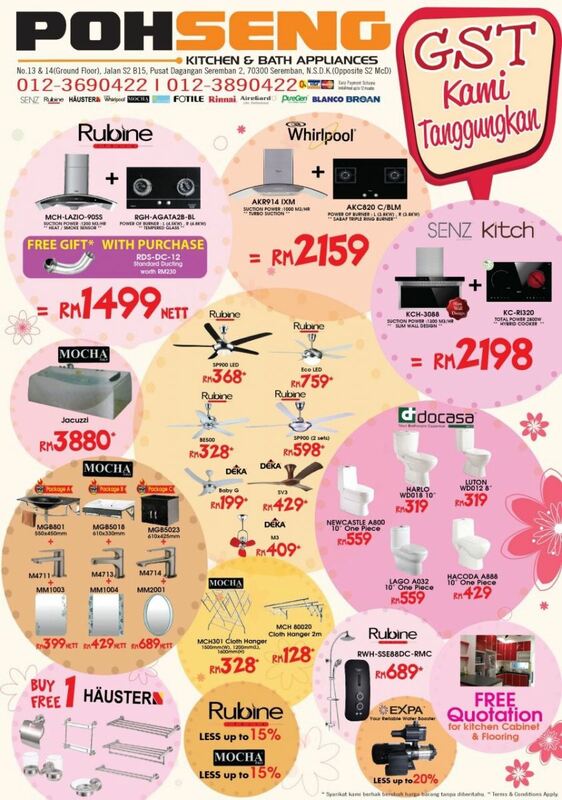 Besides that, our showroom also allows customers to explore the latest kitchen and bathroom design or appliances. Our products include art basin, basin cabinet, ceiling fan, ceramic cooker, cooker hood, food waste disposer, induction, multi oven, water tank and more. Other than that, our experienced and friendly staffs are ever ready to help you with any enquiries. We believe in delivering quality products and services to customers at reasonable prices. If you have any question, please do not hesitate to contact us.